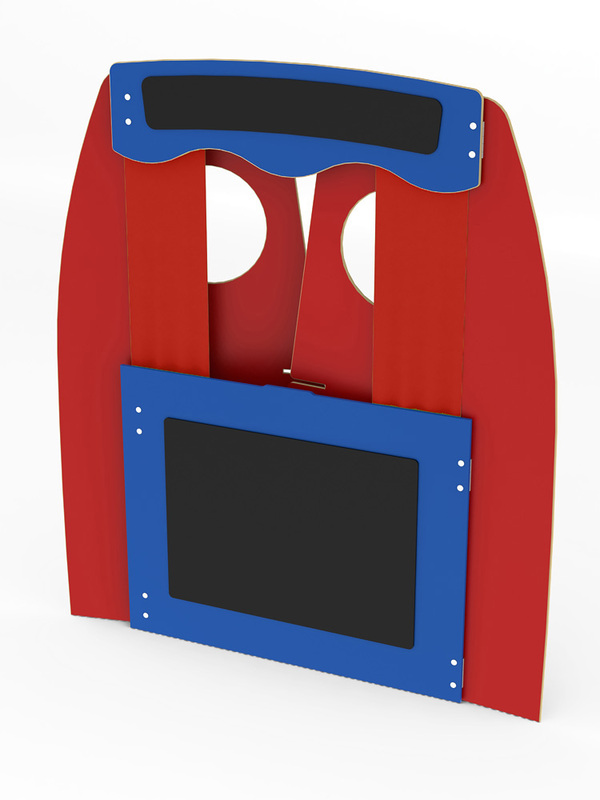 The folding shop and puppet theatre is manufactured sustainably in the UK using durable and easy clean melamine. It is available in two designs - natural maple colour with dry wipe boards or red with chalkboards. 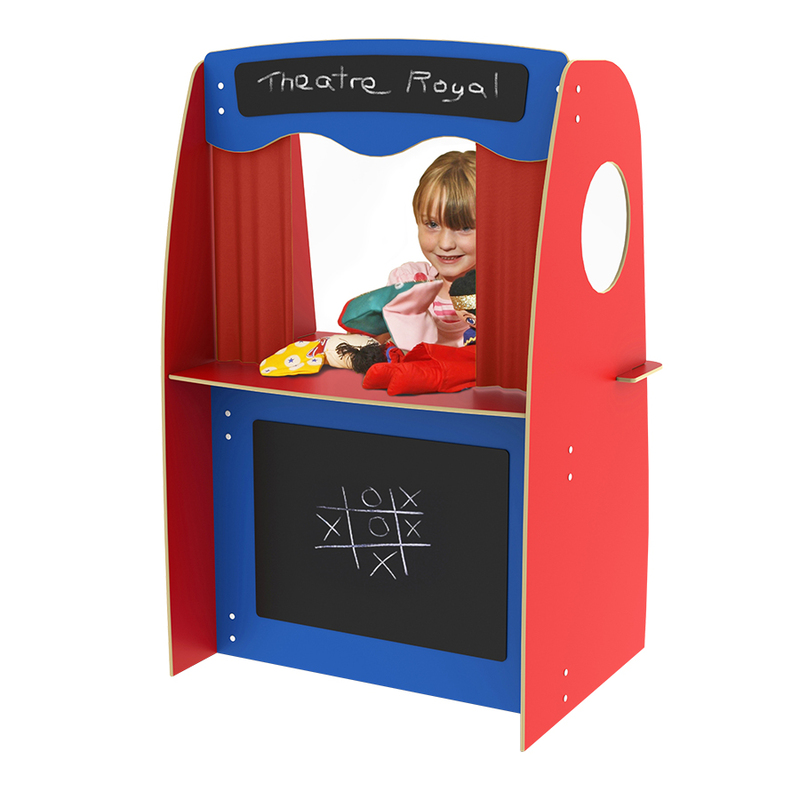 Ideal for whole class or group creative play, the folding shop & theatre can also be used as a bank, café, post office and many more simply by changing the name on the header board. This product is delivered flat packed for easy assembly and after use can easily be folded away for storage. 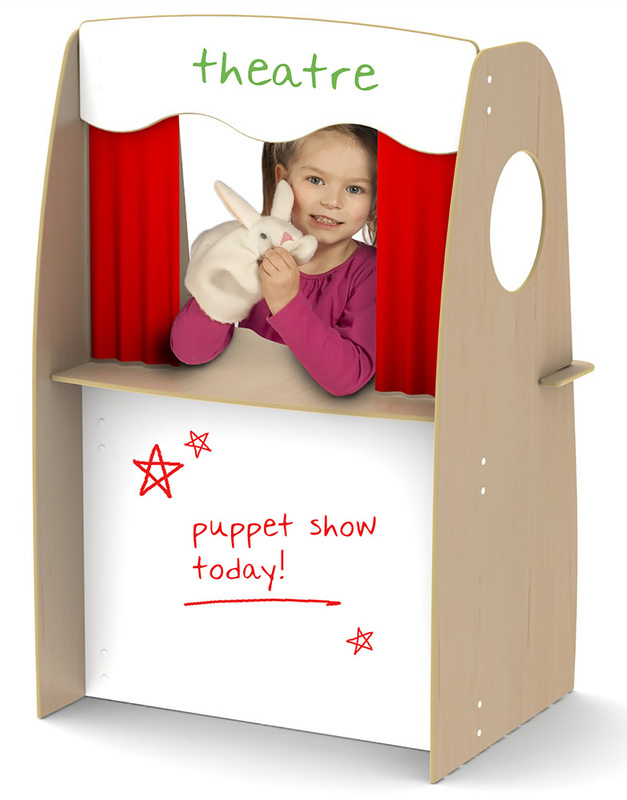 Please note: the puppets and toys featured in the product images are not included with the folding shop & theatre. For more information please Contact Us or call us on 01733 511121. View our extensive range of Creative Play equipment.